Gorgeous 345, Charlie, just beautiful. I’ve never seen or heard of the short leg PAFs before. 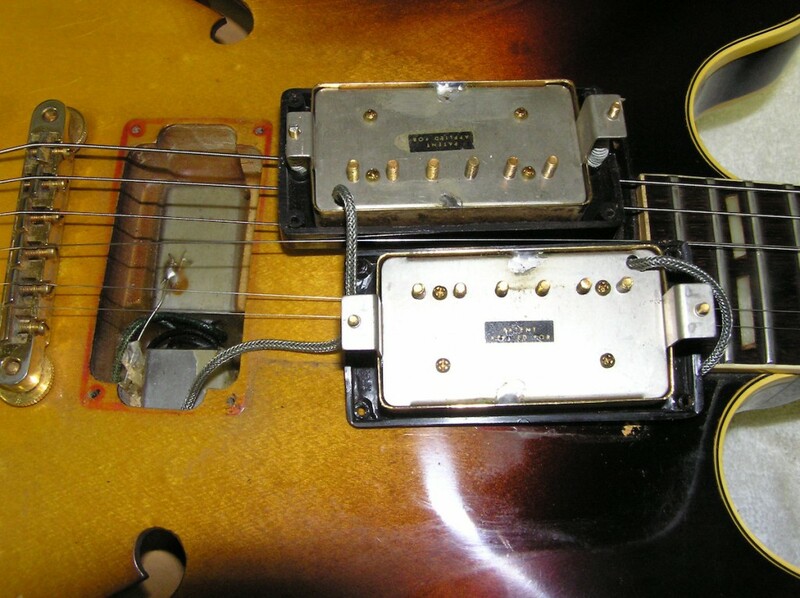 Perhaps you can elaborate in a continuation of this post about the mysterious chokes that Gibson used in conjunction with the Varitone circuit and why Gibson chose to use them instead of a simpler passive “stepped” tone control. There are several modern varitone-type circuits available (Tonestyler, etc.) that could be used in a 345/355 that had already been modified and had the factory harness removed. BTW, I am a big fan of the varitone and using the stereo function of the 345/355 the way the factory intended. Hello Charlie, I read in you article of June 15th 2013 that Gibson stopped in 1961 with the FON. I always thought it was 1109-, but if you countdown the first one (1) must be an I corresponding with 1969? Did they introduce another numbering system in the late ’60? And do you know what the figures mean? Sure looks like a FON but I’ve never seen one after “Q” in 1961. 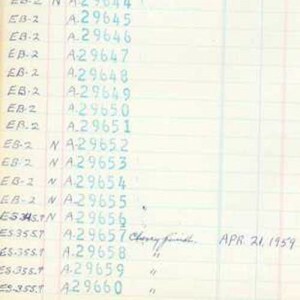 Yours shows the letter “I” which, if the system were still in use, would indicate 1969. Anybody else got a later guitar with a FON or what looks like one? Just a question about dating a guitar. What year would you call a 335 with a 1960 FON, but also has a four digit stamped headstock? Other features: slim neck, short guard, double black coils. 60 or 61? Thanks! 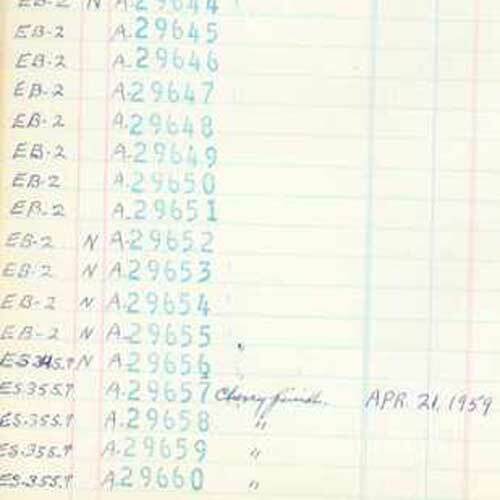 Serial numbers generally indicate the date/year a guitar was shipped. FON indicated when construction was started. I’d call it a 61 but the year is actually less relevant than the features. I would value a 60 with 59 features and FON the same as a 59 but I would call it a 60. There really aren’t “model years” with changes that occurred January 1 of a given year. Most changes transitioned in. Get the guitar with the features you want and don’t worry about serial numbers. 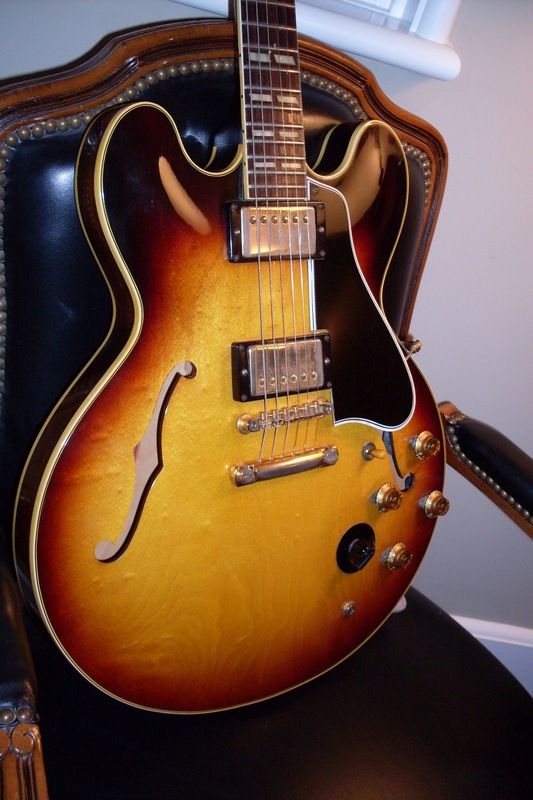 I had a 62 with a 60 FON and I called it a 62 because it was a block neck with a 62 serial number. I mentioned to the buyers that the FON was a 60 but I couldn’t really call it a 60.